We often study character traits to understand a character - who they are, why they do things, what their motivations are. Most of the time, we're studying fictional characters. Why not look at biographies to do the same thing? What can you learn about a character by studying a nonfiction picture book? I read a couple of books lately that certainly have a contrast in character. Or do they? In light of our current race for presidency, this is a great book to share with students. Belva Lockwood really believed she could move the mountains that were in front of her, and often succeeded. With determination and a willingness to fight for what she believed in, Belva did so much to move equal rights for all forward in our country. So many wonderful character traits to study when reading this story about Belva. Determination. An admirable trait. But what if a person uses determination and it hurts people? Robert "Count Victor Ludwig" Miller was a con artist who was determined to swindle people out of large sums of money. He worked hard at what he did and was successful at it until he was caught and jailed at age 45. I enjoyed seeing how Pizzoli paired the text and illustrations. I liked how Vic remained faceless throughout the book. Added to the mystery of his character that he seemed to portray. Interesting to pair the character trait of determination using these great biographies. Another wonderful picture book biography that could be used when talking about character traits would be Swan: The Life and Dance of Anna Pavlova by Laurel Snyder. I wrote about this gorgeous picture book here. I was thrilled to be in the audience at the NCTE Picture Book Awards Luncheon when it was announced this gorgeous book won a 2016 NCTE Orbis Pictus Honor Award. So many possibilities when using picture book biographies! Can you believe it's days before Thanksgiving? I can tell just by the excitement in the air at school. The kids know the holidays are coming and smiles are on their faces. Thanksgiving is my favorite holiday. Food, family, fun and traditions. I have found that even though attention may be hard to hold over the next few days, weeks... books are a great way to get them to pay attention. Kids love story time, even when it's hard to pay attention to other activities. Try some of these the next few days! This book is rich with tradition. Talk, share, discuss and write about traditions. 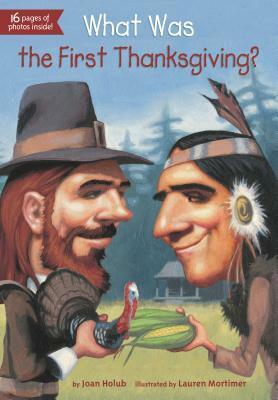 It doesn't have to center around Thanksgiving, what other traditions does your family celebrate? Compare this book to Emily Jenkins' A Fine Dessert. What tools are similar in both texts? Look at Pat Zietlow Miller's writing. How does the rhyming work for this type of story? Can you use this style in a writing piece about traditions? I love how the family all comes together in this book. 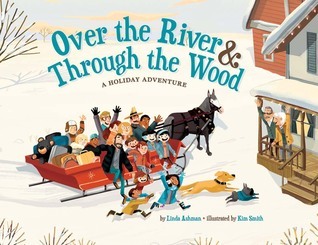 Just like the other book also has family, but talks about traditions, use this book to talk about how friends and families come together during holidays. What do their families do during the holidays? Love the different forms of transportation in this book! How do the forms of transportation match the region they are in? Another rhyming story! How is this one same/different from Miller's book? Authors must make writing decisions - what style is best for their story? 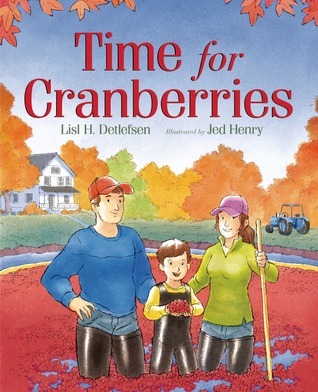 Why do you think Linda Ashman and Pat Zietlow Miller made the decision to use rhymes? Perfect narrative story to show "how to" writing! Judy and Stink engage in some friendly sibling competition. They don't always think the other is going to do what they set out to accomplish? Would you do the same thing as Stink? How do they support each other? Judy Moody dresses up as someone unexpected. How is it a very appropriate choice for Judy's character? What did you learn about this not-as-famous American? Use all of this informational text or just pieces of it. I love how Scholastic's new series has a better voice in their informative writing. Point out sentences and text that add voice - how did it make factual information more interesting? Have you seen the Orca Footprints series? Each one is focused around a topic to help make big changes around the world. 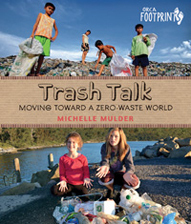 A new book in the series is Trash Talk by Michelle Mulder. This book takes a look back at how places around the world have dealt with trash. Let's just say some ideas of the past were kind of stinky ones (pun intended!). This book, because of the interesting facts and new ideas that Mulder talks about, would make a great class read aloud. When reading these longer books, sometimes you can read them cover to cover, otherwise, find the parts that would be interesting for your students or go along with class curricula. Either way, both you and students will learn something new! How do we preserve them? 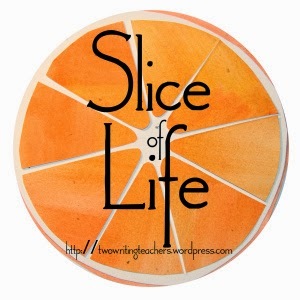 Many of you encourage your students to participate weekly in a Slice of Life format, and some of you have classes that participate in the March challenge. I found a book this weekend that reminded me of the importance to share and preserve our stories. 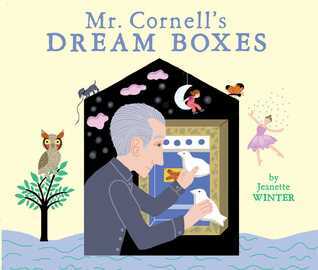 In the narrative biography, Mr. Joseph Cornell makes dream boxes. These boxes hold memories and dreams, made with materials he found in his community. This made me think of stories. Mr. Cornell preserved his stories in his dream boxes. We ask students to preserve stories through writing. 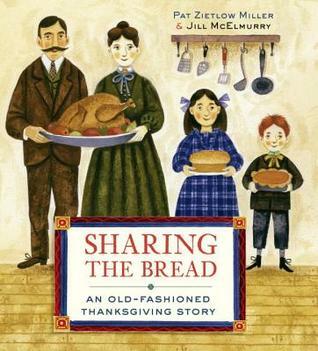 Maybe use this book with students to talk about ways to remember and share stories. Looking at the NGSStandards is something we've been doing in earnest at our school. One of the standards has students studying plants. If you're looking for some books to use for this topic, be sure to include these. I have found having books for readers that are transitioning from early chapter books to something more challenging can be difficult. Middle grade books are a bit of a reach. These students really need to have access to transitional chapter books. Here's a collection of books that are perfect for these readers. Are you thinking about doing a Mock Newbery? Here's our process. Would it work for you? This was an interesting book. I adored the illustrations by Marla Frazee. I wasn't so sure about the text. Young children ask questions about their mommy using opposites - is she nice? mean? fun? boring? Each time the answer is the mommy is the worse of the two choices. I felt conflicted. As a mom who is probably often boring, ugly and mean, I don't need a picture book telling me that. But that is not what the author was after. The author wanted to celebrate moms. Moms that work. Moms that do everything they can to take care of their children, even if it doesn't always look pretty. I understand it better, but for me, it was just ok.
As a public school teacher, my knowledge of homeschooling is limited. From what I know of it, parents put a lot of work and thought into their children's education, including giving them experiences that give them hands-on knowledge. I had a brief experience of it, for 4 months, having to home school my child while she had her leg lengthened when she was in 2nd grade. It. Was. Hard!! I was so glad to return to home and return my child to the capable hands of her teachers at school. I appreciated being able to read more about the author's experience. I think it would be interesting to share this book with students. And I really loved seeing the picture of Jonathan Bean in the back of the book with his Rainbow Brite lunchbox! Can a bear and squirrel really be friends? Even after a looong hibernation when Bear wakes up especially hungry? Cute story. We know a "being there" experience is best to activate all the senses which helps makes connections in the brain which helps children learn best. Thrya Heder seems to know this as she creates a being there experience for her young character, Sophie. Sophie meets Olafur the polar bear and he gives her a day in the life of a polar bear. And at the end of the book, we see how much Sophie learns from the experience! I really enjoyed Ferris and His Wheel by Kathryn Gibbs Davis. This book is another fantastic picture book biography about Mr. Ferris and his now very famous wheel. Going into more detail about events that happened once the World's Fair opened, I enjoyed learning more about the famous invention! I had to switch some books around because of books that are currently overdue that need to be read. I'll be back to Princess Juniper soon! I'm hoping to see Kristen at NCTE and would like to get the ARC read! Looking forward to this week - NCTE! One of my most favorite weeks of the year - friends, books, and getting excited about what I do! I will return in two weeks, I don't think I'll have a post ready for next Monday after traveling on Sunday. Happy reading to all! Great conversations about perspective using all of these books! I think it's so important to acknowledge the conversations the students have using books and how it impacts their learning to share in the talk together. Last year, my colleague and I embarked on our first Mock Newbery Club with the oldest students in our school, the 4th graders. Having a Mock Newbery Club with this age student can be tricky. They aren't always ready for the complexities of books that have potential of being a chosen Newbery honoree, but these students are ready to read wonderful literature and share and discuss what makes that book stand out. Last year we read 4 shared titles. We read one each month. Students could pick and choose which books they wanted to read, but we only discussed one title each month. This year we wanted to switch it up and allow more choice. And with more choice, we wanted more titles. We decided upon 10 titles. The titles were chosen by talking with other educators to compare titles and criteria, looking at blogs that specifically looked at potential Newbery titles and Goodreads Mock Newbery group. They were also chosen because they would provide a wide variety of reading, both in topics, genre and level, for fourth grade level students. 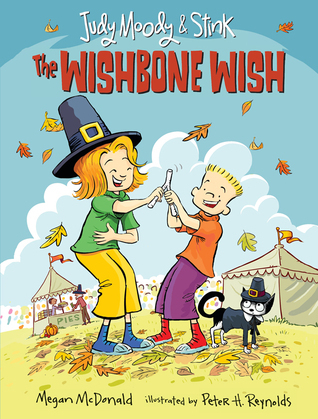 While we understand that some of them are books that may not live up to the highest Newbery award criteria, they are excellent books for students who range in age from 9-10 years old. We met with our fourth grade teachers and students in September. The first six titles of our Mock Newbery Club were shared with students. We discussed the parameters of the club. There would be ten titles students could choose from. Students must read five books in order to vote in January. We meet at least once each month, starting in October, to discuss the various books. In order to participate, students needed to return a contract that both the student and parent signed. They received an official "Mock Newbery Committee Member" packet with information, a book order form and Newbery criteria information. The packet was in a sealed envelope that was addressed to each "committee member" to make it look official! There were many smiles on the students' faces when they received their packet. We discussed with students how to get the books they wanted to read. Our school library ordered copies, often multiple copies, that were placed in a special bin that is housed in our school library. Only members of the Mock Newbery Club can check these books out until after the YMAwards in January. My colleague and I checked out books from the public library using our teacher card. This allows us to keep the books for an extended period of time. I had a few ARCs of the books that I also added to the pile. We also talked about how books are available on audio at the local library. Some students have bought or borrowed books for their kindles. We had our first Mock Newbery Club meeting. About half of our fourth grade students are participating. Out of my seven reading intervention students, six students are participating. We meet during the students lunch time. It's books, food and conversation. Students sat with other students who had read the same book. If they had already read multiple books, they chose their favorite to discuss. We had Newbery criteria sheets to pass out to everyone. Using the criteria prompts, students, I mean Mock committee members, talked to each other about whether a book met criteria. What parts did? Was it the entire book or did one part stand out over others? Fourth grade teachers, my reading teacher colleague and I roamed between the different groups, sharing in the conversations. The committee members did a great job talking about the books and the parts that stood out to them. Next, we had committee members pair up with other committee members who had read different books so they could share. This gave students who had read multiple books a chance to talk and share all the titles they had read. Many committee members walked away having an idea of the next book they wanted to read. Finally, we shared the final four titles on our list. Before leaving this first meeting, students were able to trade books and check a new one out if they were ready, including some of our new titles. Early in the month, we went around to the fourth grade classrooms and took pictures of students holding up the books they had read. We have a bulletin board that shows pictures of each Mock Newbery title. Now there are pictures of the students with the books that frame the covers. Students enjoy seeing who else had read the same titles, and it's a visual reminder to keep reading the books! We just had our second Mock Newbery meeting yesterday. Everyone had read two books and because all three of our fourth grade teachers participated in Global Read Aloud, all of the students had just listened to Fish in a Tree. I was surprised at how many students had read more than three books. A couple of students were starting their seventh Mock Newbery book! We started off the same way by having students meet with other committee members who had read the same book. I'm noticing the conversations are getting even more rich, and kids are asking their own questions to each other instead of relying on the criteria sentence starters. As students talked, my colleague took more pictures of committee members and the books they had read for our bulletin board. Next, we met as a group and if a committee member felt very strongly about a book, that they had found the next Newbery award winner, they presented it to the committee and had to back it up with criteria. Some students definitely had a passion for particular books! At the end, some students traded out books again and they were reminded it would be a shorter amount of time before our next meeting in December. We will meet with students twice in December. On January 8 we will have our final meeting where students will vote for their favorites. I still haven't decided how voting will look. My colleague and I need to figure out what will work best for our group. I'm thinking about doing a weighted vote so we can determine if we have an official award winning book and some honors. We will meet as a school on January 12 to learn the results of our school's Mock Geisel, Mock Caldecott and Mock Newbery votes. We will cap the assembly off with watching the taped webcast of the YMAwards, specifically those final awards! I am really enjoying the changes we made this year for our Mock Newbery. The shared discussions, students' insights and conversations, and doing something as a school is very rewarding. As mentioned, we're not only doing a Mock Newbery, students in grades K-1 are participating in Mock Geisel, and students 2-4 are participating in Mock Caldecott. I'll talk about those in weeks to come!